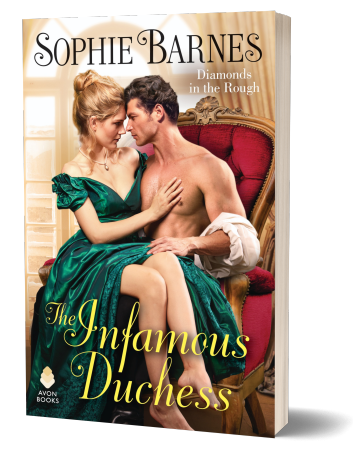 To celebrate the release of THE INFAMOUS DUCHESS by Sophie Barnes, we’re giving away a paperback set of the first three books in the series━A Most Unlikely Duke, The Duke of Her Desire, and The Illegitimate Duke! Enter your information below for your chance to win! I confirm that my shipping address is within the United States and I agree to receive occasional emails from Pure Textuality PR.. Pop on over to your email inbox to confirm your subscription and complete your entry. This giveaway is administered by Pure Textuality PR.